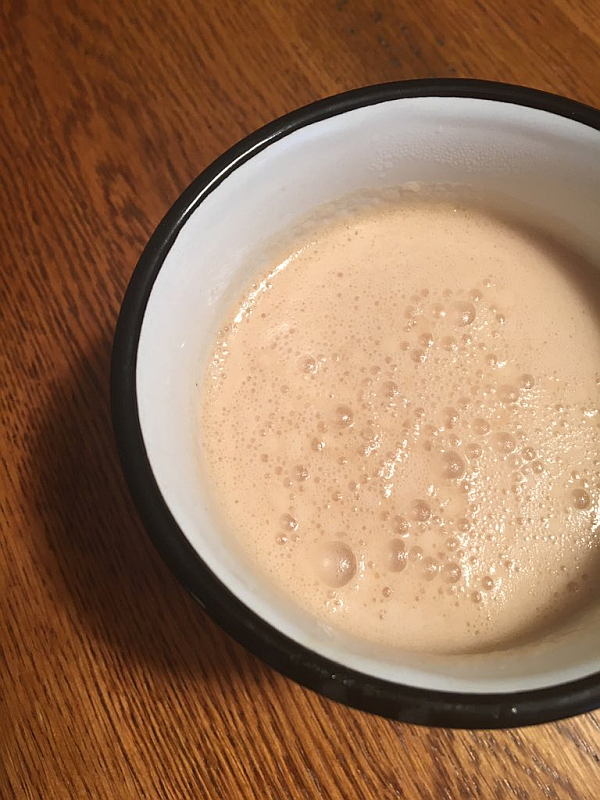 Are you familiar with the Bulletproof Diet and/or Bulletproof Coffee? For more information, when you’re through here, you might want to read my Bulletproof Diet Book Review on Self Help Daily. 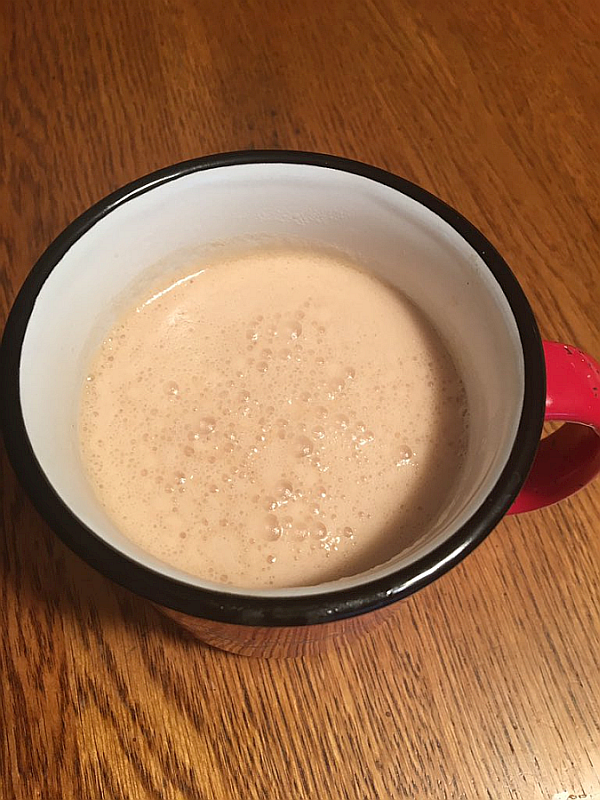 My husband, our oldest daughter, and I are HUGE, HUGE, HUGE fans of Bulletproof Coffee and can’t imagine mornings without it, to be honest. Being a Crazy Tea Chick, I also love to make Bulletproof Tea, like the Bulletproof Earl Grey pictured here. It’s fun to use different teas for “Bulletproofing,” and (as you’d expect) your favorite teas will become your favorite Bulletproof teas. Earl Grey is a favorite tea of mine, so I completely swoon when he puts on his bulletproof vest. Whirr in the blender for a slow count of 10. Enjoy! 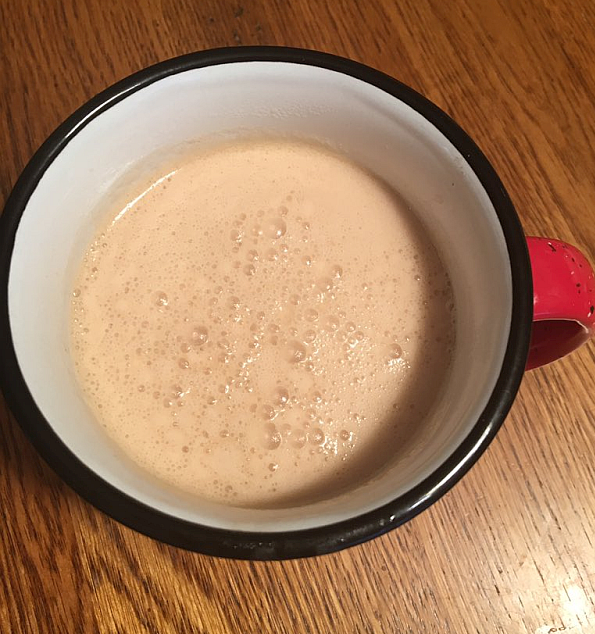 I used TAZO Earl Grey Tea for this delicious cup of Bulletproof Tea. If you want a little more or a little less butter/ghee or coconut oil, go for it. No, Whirr isn’t a legit word…. but, you see, one of my hidden talents is to make up words. Drives spellcheck and family members crazy.. which, well, kind of entertains me. I have an evilicious side.